How would Mark Hunter describe Washington’s John Carlson’s one and only season with the London Knights? Hunter, who is a part-owner of the Knights and was general manager of the team since he, his brother Dale and Basil McRae purchased the club 18 years ago up – until he took on the role of assistant general manager for the Toronto Maple Leafs in 2014 – saw Carlson at the top of his game in the post-season. Hunter, who recently parted ways with the Maple Leafs, was also impressed by the defenceman’s off-ice demeanor. Hunter likens Carlson’s skill-set to another accomplished NHL blueliner. It doesn’t surprise Hunter to see Carlson thriving in the NHL, including his efforts in this year’s Stanley Cup Playoffs. In 23 games, the Massachusetts native, selected 27th overall by the Capitals in 2008, has five goals, 19 points and a plus-10 rating. 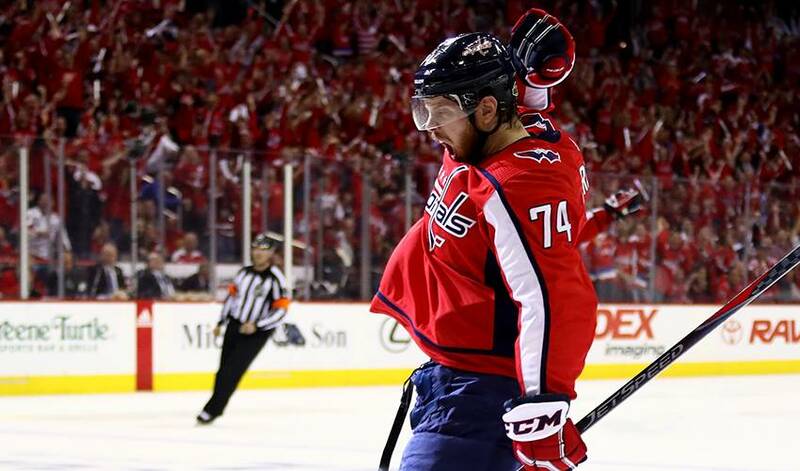 He’s recorded four points in his last five post-season games, including a goal in Washington’s 6-2 win in Game 4 of the Stanley Cup Final. As for the most underrated aspect of the 28-year-old’s game, Hunter points to Carlson’s defending abilities.